The Tenby Living step stool is extra-wide and extra tall 2-step stool that is ideal for kids, toddlers, and even adults. 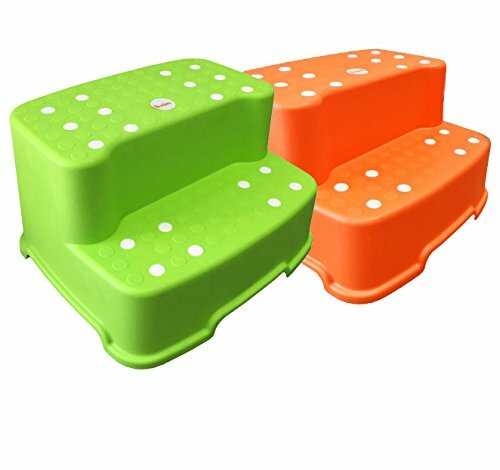 Made of high quality plastic, the step stool gives you and your children the extra height for teeth brushing, potty training, and reaching items around the house. The extra wide non-slip rubber grips on the underside prevents it from sliding and non-slip surface reduces the risk of slipping. The stool measures 15 3/4" (w) x 13 3/4" (d) x 9 1/4" (h).